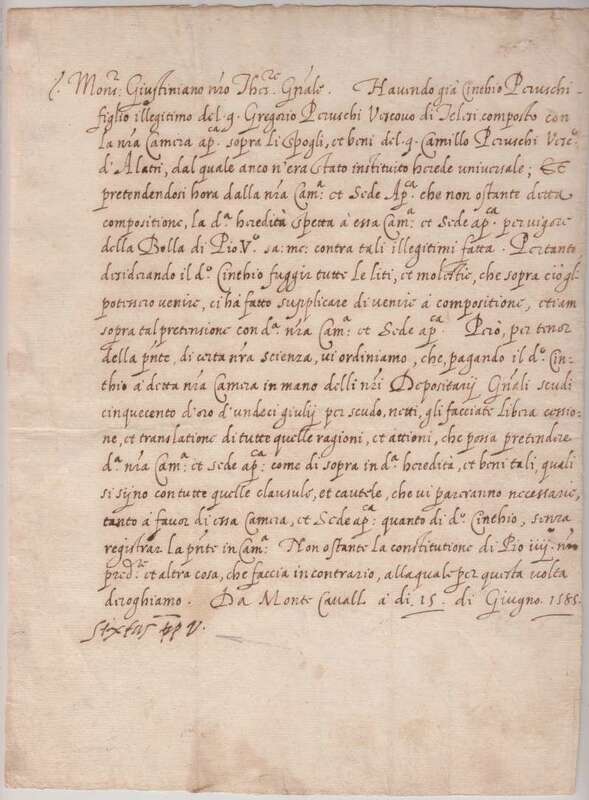 This is a document dated June 15th, 1585, the first year of his pontificate. It is signed as Pope Sixtus V and is untranslated. It concerns a bishop with an illegitimate son who owes money to the church. It is written to another bishop about this subject.